That might seem obviously simplistic, but it is the simplest step that so many people often overlook in their search for foreclosure assistance. Either despair gets the best of them, and they cannot see a point in asking for help, or they simply think that they got themselves into the mess so they aren´t going to get help to get out of it. Regardless of the reasons, too many people simply fail to do the most basic thing by asking for help in the first place. 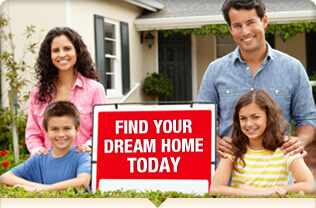 Once you learn that you can ask for help, you have taken the first step in the right direction to avoid foreclosure. How do I Ask? Who do I Ask for Foreclosure Assistance? For starters, ask your lender. Whoever holds your mortgage loan will be more able to help you than anyone else, and possibly more able to help than you might even realize. What many people don't think about is that banks are in the business of money. Lenders don't want to have hundreds of foreclosure properties on their hands and no way to get rid of them. They just want the money that they are owed for the property that you purchased, and will often be willing to work out a solution that will get them that money and make it more feasible for you to pay your mortgage. Explain your situation and calling and rationally, and do your best to help yourself. If your lender sees that you are making an honest effort, they are much more likely to help you than if you aren't trying on your end. If your lender won't budge, you might want to consider talking to an attorney about your other options, including bankruptcy. More importantly, what if it does? So many people get caught up in foreclosures that could have been prevented, simply because they worry too much about the "what if" and think that there is nothing they can do. In times like these, you need to maintain a positive attitude and outlook on the situation, and make sure that you do everything in your power to get the help that you need and stop foreclosure. Even if your efforts to save your home don't work, at least you won't spend the rest of your life wondering what would have happened if you had tried to get help.